Today was the first day in a Chocolate and Truffle Theme Week. 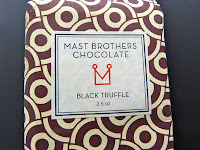 I may not be able to find seven chocolates with black or white truffles, but I will certainly enjoy trying. 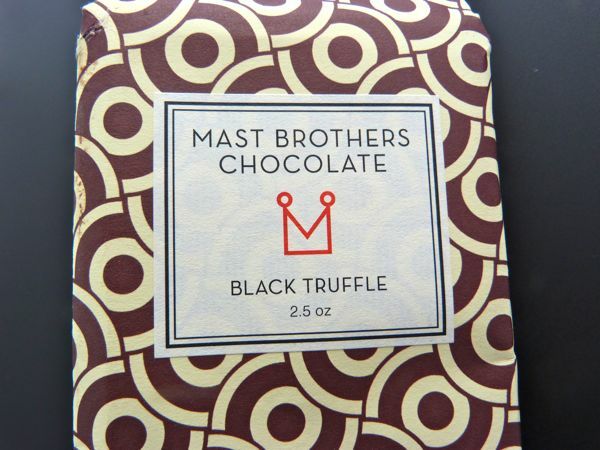 I couldn't think of a better way to kick off this week than with a Black Truffle 74% cacao bar from Mast Brothers Chocolate (Brooklyn, NY). The story behind Rick and Michael, the two American craft chocolate makers behind, and co-owners of, Mast Brothers Chocolate, embodies themes like the adventure of sailing, and the sober elegance of good design. One might be tempted to look at promotional materials and dismiss them as nostalgic hipsters. However, one would be wrong. Their voyage to make great chocolate has been a successful one, due to their focus on high quality ingredients and great process. Likewise, you'd be wise not to dismiss the story of the humble black jewel, known as the black truffle, a fungus on the roots of oak trees, a delicacy that lends a unique and delightful savory/umami flavor to foods. Along with a touch of Maine sea salt, the bright red fruit notes in this dark chocolate (from Madagascar perhaps?) harmonized well with the rich earthy perfume of truffle (Italy) -- that hit me when I unwrapped the pretty paper and gold foil on this bar. Heavenly. 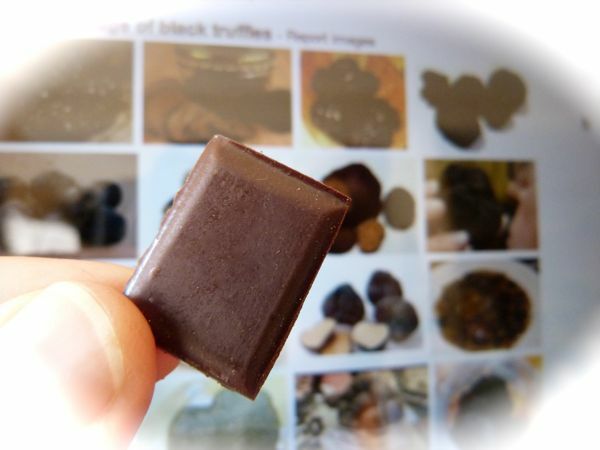 But do eat it soon, as the lovely truffle aroma and flavor may attenuate over time. Then you're left with "just" a great, plain chocolate bar.